or how about miles of piping? Well, sure, they can do that, too. ...Call it a can-do attitude. 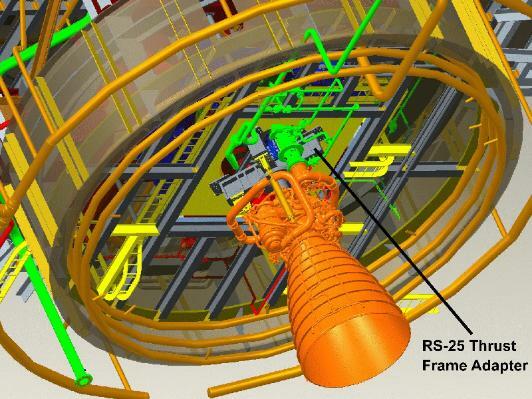 the core stage of NASA’s next generation Space Launch System (SLS). Saturn V, taking astronauts deeper into space than ever before. 25D engines have been at SSC since 2012.
the engine and keep tabs on its performance. perform intricate work to get the A-1 test stand ready. piping in the multi-story test stand to accommodate new hardware. Contract Group and Jacobs Technology shops. 294,000 pounds of thrust, and the RS-25 530,000 pounds. the team an A plus for its design and fabrication work. testing so that all aspects of the engine’s performance can be accurately measured. welded so Stennis welders had to be specially trained before fabrication began. ready for installation in A-1 in October. firings in the fall of 2014.
stand by the end of the year. test plan yet,” he said.